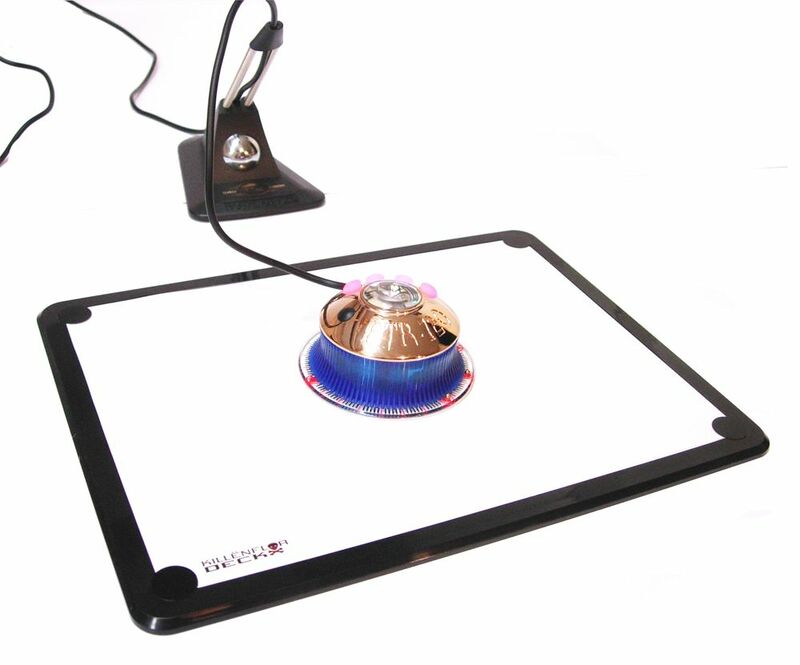 The Killenflor Deck is an innovative new high performance mouse pad system optically engineered for laser and optical sensors featuring an interchangeable Surface Insert System. Surface Inserts are available with a range of glide ratings (5) to precisely match your mouse surface preferences for maximum gaming performance. The Killenflor Deck’s optically engineered surface system is a combination of two elements; a base micro-textured white Read surface ideal for the sensor, and a clear top Glide surface ideal for mouse feet. GWS has developed Surface7™, an amazing new 100% optically pure laminate with an extremely low co-efficient of friction as the glide surface for the Killenflor Deck. Surface7 is exceptionally smooth without slickness yet sure without roughness. Surface7 is extremely wear resistant, does not require waxing, and will last indefinitely. Surface7 and other inserts for the Killenflor Deck can be replaced if damaged and interchanged with other glide-rated inserts. 2. Remove the glide and base inserts as desired. 3. Replace glide and or base insert fitting them to the insert. 4. Using 4 black adhesive-backed corner covers (included with each insert), peel off backing and place at corners so that the covers cover the diagonal edge of the insert. (Place with a toothpick, makes it easy.) Press firmly. 5. Get back in game and OWN, should have taken about 2 minutes. The Killenflor Deck comes with a base (white) Read Insert, a top (clear) Silk Glide Insert (both installed) and an Original Glide Inset (included).